» Try out the heart rate calculator! Do you know your optimal training heart rate? » Try out the heart rate calculator! 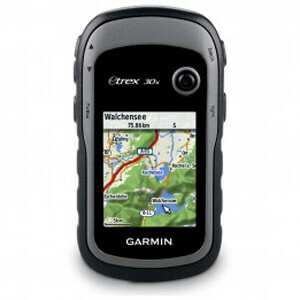 No matter if modern GPS device, detailed hiking map or classic compass: there are numerous ways to orient you outdoors. To know the direction is one thing, to find the right course is another. Therefore, the equipment for outdoor navigation not only helps to find your way but also to find the aspired daily goal. Irrelevant if you use traditional or high-tech equipment, everyone gets their money's worth with the right equipment and some background knowledge. And what is more embarrassing as to go on a tour and not even know where you actually stopped? Below are some notes on the different methods of navigation. The classic is still a compass. If you are feeling really adventurous, you can get to your destination by knowing your targets direction. Compasses are however rarely used only for outdoor navigation. This is mostly done by adventure racers and survival specialists. In conjunction with a map, the compass is probably the most common method of navigation. However, it should not be forgotten on a tour in unfamiliar terrain (especially beyond civilization in mountains, forests, deserts), as you can get lost very fast. Compasses should provide a reasonable scale, a strong magnet and a clear color display. Models for maps or the thumb are correspondingly more compact and have a read-out scale with a ruler. Navigation by map is popular and practical. Unlike GPS you have more personal initiative and time exposure, but also independently learn more about the route. Good hiking and cycling maps for navigation are coated, foldable and come with a handy size display with additional information (supply points, accommodation etc.). With the mobile GPS devices for outdoor navigation, you save time when you travel but also a lot of money and weight (for maps). You have to however familiarize yourself with the technology and you should take note of the battery performance and usability depending on the intended purpose. For cycling it is necessarily to choose easy to assemble models with touch screen, whilst for hiking in the mountains, models with buttons are more practical. Mountain runners, triathletes, explorers and mountain bikers can also get watch models with GPS. Accessories for outdoor navigation range from TPU map pockets on rangefinders on maps and pedometer to chargers, map sets for different regions and holders for mobile GPS devices.